It's looking increasingly likely that LG will launch a second flagship device in the last half of 2015, with company executive Eason Shao giving the most explicit indication yet that a another handset is coming. According to Focus Taiwan, Shao told them that "LG will continue its dual-flagship strategy this year with the new G4 and another flagship phone scheduled for release in the second half of 2015." With the LG G4 rolling out around the world right now it might seem a bit soon for LG to be talking about another flagship device, however releasing two high profile phones in a year is becoming something of a habit for the South Korean company. 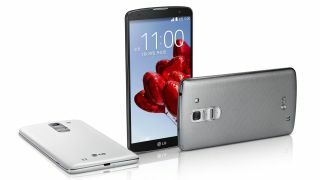 In 2014 LG launched the G3 and the G Pro 2, so it could be repeating the formula, however it is not clear whether we could be in for a G Pro 3 or a completely new device. Shao was reported to have told Focus Taiwan that "the hardware specifications for the second phone have not yet been finalized", so it might be a while before we get a better idea of what LG has planned for the last half of this year.